The following table compares the two Hades Canyon models with the i7 Version of the previous generation Dawson Canyon NUC, which was also equipped with an 8th Gen CPU. Intel NUCs are not supported by VMware and not listed in the HCL. Not supported means that you can't open Service Requests with VMware when you have a problem. It does not state that it won't work. Some components used in the NUC are listed in the IO Devices HCL. Both network adapters are listed in the HCL for vSphere 6.5 and 6.7 and no additional drivers or modifications are required. Depending on the physical switch used, sometimes the ne1000 based NIC fails to connect due to auto-negotiation problems. To work around this issue use the left port for initial configuration and disable auto-negotiation from the ESXi Host Client. To disable auto-negotiation, open the Host Client and navigate to Networking > Physical NICs > vmnic0 > Edit settings and set the speed to 1000Mbps, full duplex. To clarify, the system is not supported by VMware, so do not use this system in a productive environment. I can not guarantee that it will work stable. As a home lab or a small home server, it should be fine. The simplest way to install ESXi is by using the ISO and Rufus to create a bootable ESXi Installer USB Flash Drive. If you don't have access to ESXi Binaries you can sign up for a free version. The performance of a single NUC is sufficient to run a small home lab including a vCenter Server and 3 ESXi hosts. It's a great system to take along for demonstration purposes. Currently, I run a 3-NUC Cluster that runs about 20 virtual machines including 2 vCenters, virtual ESXi Hosts, vSAN and NSX. With their four 3.1GHz Cores, the new Hades Canyon NUCs are at the top of the performance chart. NUCs have a very low power consumption. I've measured the power consumption of my NUC8i7HNK in 3 states: Idle (ESXi in Maintenance Mode), Average Load (1 vCenter, 4 Linux VMs) and during a Stress test. The NUC has been configured with 32GB RAM and no HDD or SSD. I don't really see the advantage over the NUC8I7BEH. An extra NIC, yes but you can add one via USB for less than the cost difference. Quick question I wanted to try the VMware on the Intel NUC NUC8I7BEH, but I was waiting for the tutorial here. In your case this model is working correctly? 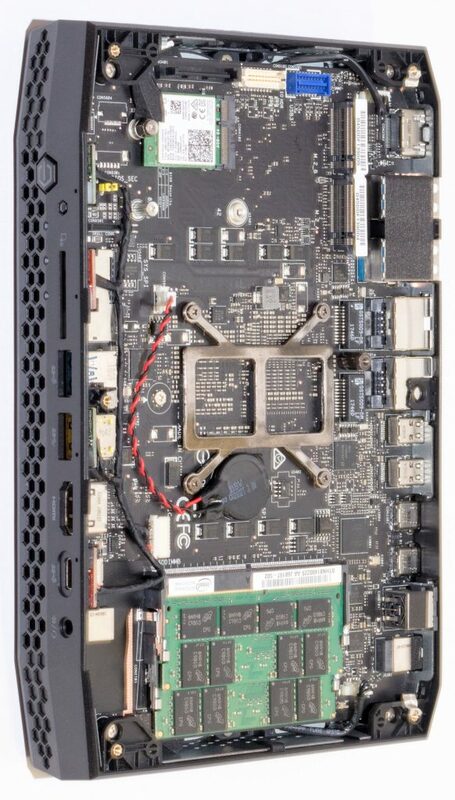 Any chance of doing a write-up with a NuC + vmware + eGPU? The advantage with this platform is that you can passthrough the GPU to a vm easily. So you can have a virtually bare metal vm running Windows10 and then as many other VMs as you wish. 2 native nics supported by esxi are good, and if you add the usb nic driver fling you can add more. it has 2 nvme slots that you can load a couple 2TB ssd’s in which isn’t a ton of storage but very fast compared to sata. The biggest downside to this little guy is 32GB ram. better than 16, but 64 would make it a little powerhouse. Can you passthrough the Vega GFX to a VM and keep the HD630 for esxi? Any ideas what I am doing wrong? Or which one is the right one? Ubuntu said the net is 1000e but no luck with ESXi. This will be the same with NUC8I7BEH? How many Nested ESXi hosts are people running in a simple single NUC configuration?